Spanning 570 acres, Fort Monroe is located in Hampton, VA on Old Point Comfort where the Hampton Roads Harbor and Chesapeake Bay meet. Established as a U.S. Army installation in 1819, this National Historic Landmark District contains a diverse collection of buildings, structures, and landscapes rich in military and American history. 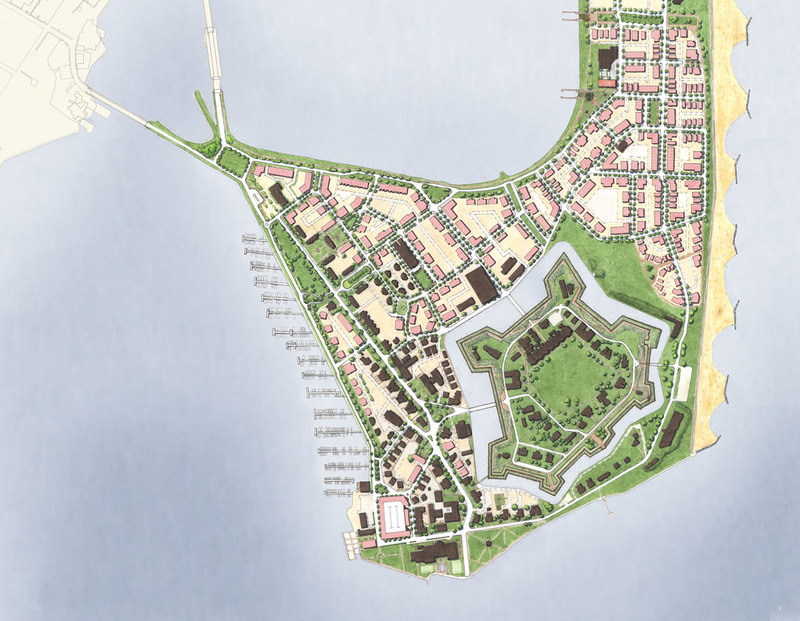 Fort Monroe was closed as a military facility on September 15, 2011 pursuant to the recommendations of the 2005 Base Realignment and Closure Commission (BRAC), and much of the land reverted to the Commonwealth of Virginia. After the Army left the post, the plan proposed that every effort be made to retain and maintain the special qualities of this incredible place. 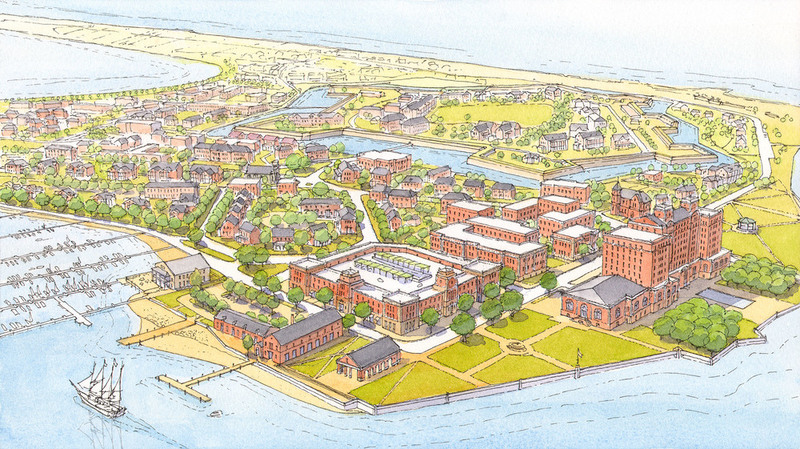 The Fort Monroe Reuse Plan was an important first step towards promoting the proper preservation, reuse, and future evolution of this priceless historic treasure. The plan was created by Dover, Kohl & Partners, with the assistance of Hanbury Evans Wright Vlattas, H. Blount Hunter, Zimmerman/Volk Associates, Kimley-Horn & Associates, and Matrix Environmental Services. On November 1, 2011, President Barack Obama signed a proclamation to designate portions of Fort Monroe as a National Monument.